With the Customer Success teams I have had the opportunity to lead we focus on continuous improvement and moving from "good to great". One of our team exercises is to post both things that we needed to start doing and things we needed to stop doing to move from good to great. Fear is often a common theme. Fear of weaknesses being uncovered, of asking for help, of stepping outside the status quo, of stepping outside what is comfortable and known, fear that we don't have anything to say for blogs and social media, fear of criticism or saying no to customers and meeting requests. Many of my team members have noted that fear led them to second guess themselves. Fear erodes their confidence. Worse, fear stops us. It keeps us from leaning into opportunities and challenging ourselves to work at the next level. Fear keeps us from testing new ideas, new ways of thinking and fixing what we can see is broken. Fear can, and fear will, prevent us from achieving our goals. It will prevent us from disrupting and achieving our potential. It can prevent you from achieving your personal career ambitions. Earlier this year I confronted two of my personal fears, a fear of heights and a fear of helicopters, by heli-skiing in Alaska. It was absolutely terrifying. As the helicopter rose into the mountains outside of Valdez, I imagined all of the things that could go wrong. I looked out the window at the jagged peaks and imagined falling out of the sky. As we flew up the ridge, each small gust of wind served as a reminder of how small and fragile our helicopter was. As we passed over cliffs and the earth fell away beneath us, I could hardly bear to look at how far we had to fall. It didn't get better after we landed. 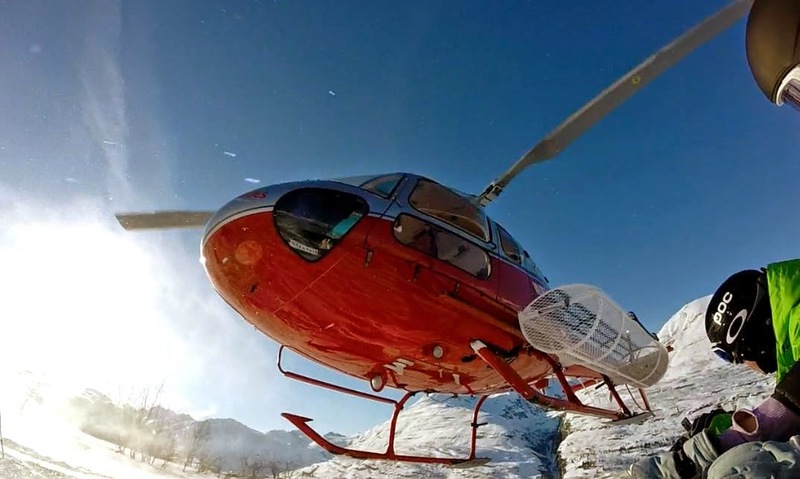 The helicopter touched down on a ridge top in a space no bigger than a small car and hovered while we carefully stepped out, unloaded our gear, and then huddled together as it lifted off again and dropped down over the ridge. On one side of the too small snow pad was a cliff that plunged thousands of feet, and on the other, a cornice and our route down. In that moment, if I could have backed out I probably would have. I was terrified. But standing on the ridge looking over the cornice to the run below there was no backing out. No escape. I was forced to confront my fear and drop in to the bowl. Unfortunately, in career development and in trying to move from good to great, it is all too easy to back out and escape our fears. We can put that blog post off. We can pretend that we don't see or don't have time to embrace that speaking opportunity. We can tell ourselves that it isn't the right time for a networking event. We can tell ourselves we will speak up in the next meeting, we will challenge the status quo tomorrow, we will have time to offer up that new idea or solution next week. But in sidestepping our fear, we will miss the opportunity. We won't move as quickly as we could. We will fail to achieve everything we can as a company and in our individual careers. Ask yourself, how is fear getting in your way? And then challenge yourself onto the ridge where you have no choice but to go for it. Then drop in.